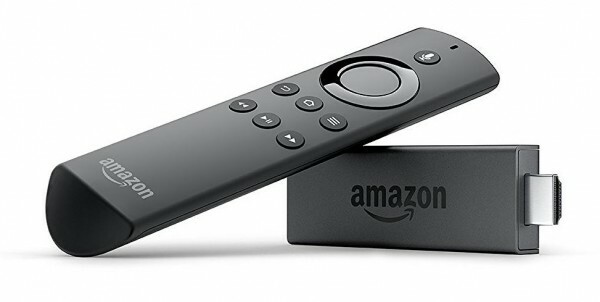 Amazon has just unveiled a new Fire TV Stick that includes a quad-core processor and Alexa Voice Remote integration. The low-profile streaming device allows users to search across over 90 apps and channels using voice commands, as well as control playback of TV shows, movies and music. The new model is rated up to 30x faster than its predecessor, given the upgrade from dual-core to quad-core processor. Memory stays the same as the previous model with 1GB RAM and 8 GB storage. The new Fire TV Stick is available to pre-order for $39.99 (no change in price) and will start shipping in the U.S. on October 20. As a promotion, Amazon is offering one month of Sling TV, two months of Hulu (with limited commercials), and $10 credit towards Amazon Video to customers who sign up before October 31, 2016. The new Fire TV Stick follows Roku’s announcement of five new streaming devices, three of which support 4k content. Amazon’s Fire TV Stick only supports up to 1080p (Full HD) HEVC video.